The first step of developing any initiative is identifying your mission, purpose and the impact of the tragedy in your community. It is the foundation of a leading organization. This module will give you the framework you need to establish your mission, identify your purpose and measure the impact of the tragedy in your community. 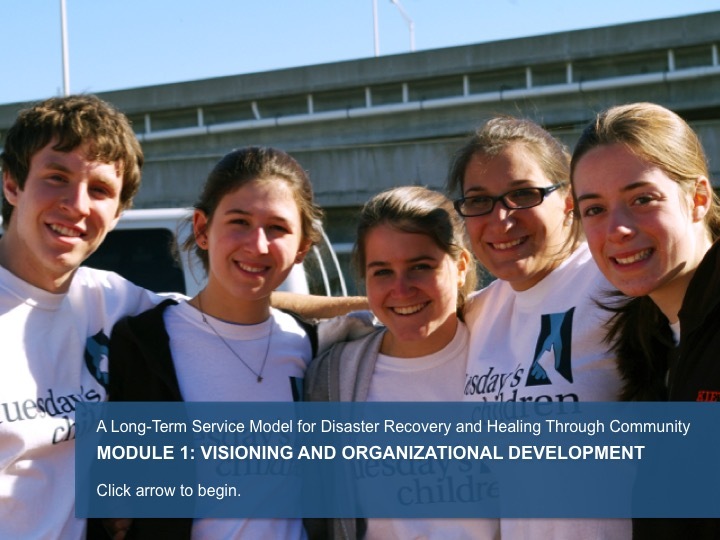 Module 1 provides “Roadmap Charting” to help you establish your vision and mission statement. Where a page contains “Roadmap Charting”, click SUBMIT to save your information before moving to the next page. 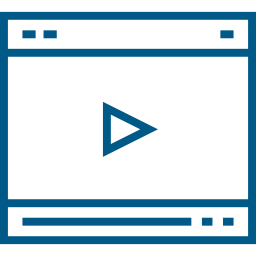 To navigate through the module, click on the arrow buttons below or use the right and left arrow keys on your keyboard. To navigate to a specific section, click on the title at the top of the page. Describes what an organization wants to do now – it answers the question, why do we exist? It is the “North Star” that keeps everyone clear on the direction of the organization. It tells you what you are doing today and that will then take you where you want to go in the future. It is the reason for the organization’s existence. Describes what an organization wants to be in the future. A statement of its vision outlines an organization’s goals for the community it serves. Tuesday’s Children offers a time-tested, long-term approach – forged in the aftermath of Tuesday, September 11, 2001 – that enables children, families, and communities torn apart by acts of violence to heal, recover and thrive for a lifetime. Our initial service population was the 3,051 children who lost a parent and all families who lost a loved one on that day. We later expanded to include other populations — first responders and their families, global victims of terrorism, military families of the fallen, and local communities experiencing traumatic loss. No other organization has then early two decades of experience of Tuesday’s Children has in providing a broad range of long-term support programs to the entire 9/11 community. Concentrates on the present; it defines the audience, critical processes and it informs you about the desired level of performance. Focuses on the future; it is a source of inspiration and motivation. It often describes not just the future of the organization, but also the future of the community in which the organization hopes to effect change. Time to take the first step to identifying what you want your organization to accomplish. 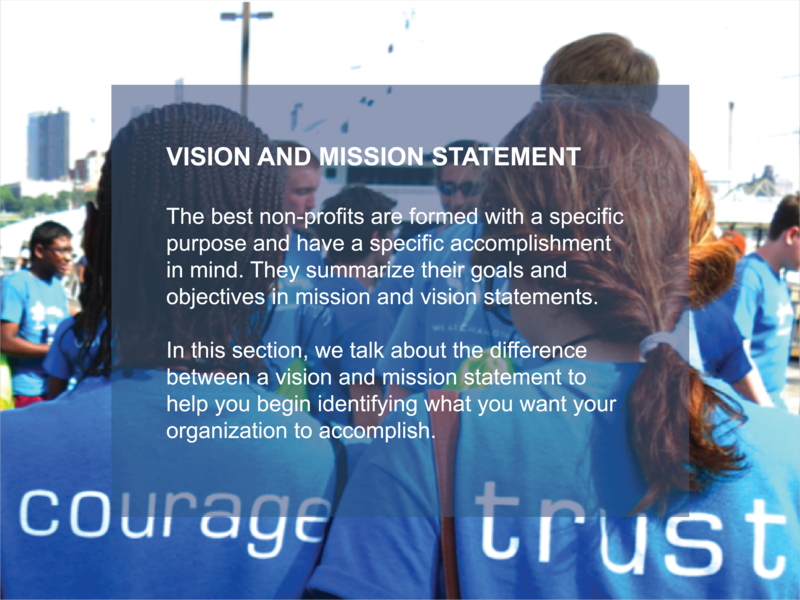 This will help inform your mission and vision statements. What do you do today? Who do you serve and why? What is the benefit? Enter your thoughts below. Every traumatic event has its own set of ripple effects. 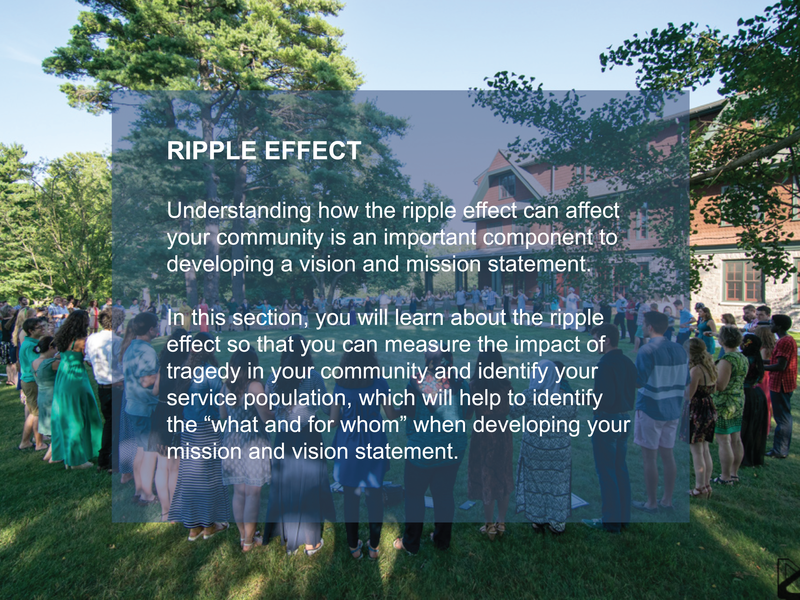 It is important to understand how the ripple effect can impact your community. Terrorism and human-caused disasters can result in long-term stress and disruption among communities because of their uncertain and long-lasting nature. Tuesday's Children has served thousands of family members of the 2,977 victims of the September 11th attacks. The Tuesday's Children program model has served as a resource for the vast community of families who experienced a loss on 9/11. Our family-focused support endures long after the media and other aid organizations have moved on. Our programs have brought promising post-traumatic growth to families impacted by 9/11. As a consistent service provider for over a decade to this bereaved community, we have gained the trust of family members, a difficult yet vital task when responding to a traumatic event. This consistency has linked families with similar experiences, creating a community of support, which has had a profoundly positive impact on their collective healing. Tuesday's Children has served thousands of responder families. The long-term effects of 9/11, such as terminal diagnoses and PTSD, are growing exponentially. Their needs for long term support and assistance are great, and oftentimes, underserved. Of the 90,000 rescue and recovery workers and 600,000 survivors exposed, the World Trade Center Health Program has registered only a fraction of eligible participants. The majority of illnesses diagnosed are aero-digestive problems. 5,500+ people have been diagnosed with cancer. 300+ FDNY & NYPD members have died from 9/11 related illnesses as of 2018. Over 6,000 separate cancers have been diagnosed. The Zadroga Act, which secures health monitoring and treatment for rescue and recovery workers, was renewed for 70 years at the end of 2015. On September 11, 2016, Governor Cuomo signed legislation reopening the World Trade Center Health Registry, allowing 9/11 responders to file new claims. Tuesday’s Children has served more than 700 international youth from 28 countries through Project COMMON BOND and has provided long-term healing support to global and local communities impacted by terrorism and traumatic loss, including Newtown, CT; Orlando, FL, Parkland, FL; Las Vegas, NV. Since 2000, over 73,000 global terrorist incidents have cause more than 170,000 deaths. Mass shootings happen every 9 out of 10 days in the United States. One third of the victims of mass shootings are under the age of 18. Family-focused services are designed to facilitate the ongoing healing process, counter a tendency to isolate, promote a sense of belonging, and provide the life management tools that are key to family resiliency. As an outgrowth of our founding mission to meet the needs of every individual impacted by the events of 9/11,Tuesday’s Children has incorporated the families of 9/11 rescue and recovery workers into our programming. Project COMMON BOND, created in 2008 has united over 700 youth from 28 countries who have lost a loved one to terrorism, violent extremism or war.. The program uses a curriculum focused on dignity, peacebuilding and therapeutic arts. Chaperones representing participant countries share cross-cultural perspectives in working with victims of terrorism and participate in facilitated sessions learning Tuesday’s Children’s Long-Term Healing Model. Tuesday’s Children shares our lessons learned and our proven approach with other communities impacted by devastating tragedies, including incidents of terrorism and mass shootings. The Resiliency Center of Newtown, CT, was founded as a program of Tuesday's Children and is now a standalone non-profit supporting the Newtown Sandy Hook community. We have provided individualized support to providers and organizations in Orlando, FL; Parkland, FL; Las Vegas, NV; Paris, France; and Manchester, UK. Tuesday’s Children shares our lessons learned and our proven approach with other communities impacted by devastating tragedies, including incidents of terrorism and mass shootings. The Resiliency Center of Newtown, CT, was founded as a program of Tuesday's Children and is now a standalone non-profit supporting the Newtown Sandy Hook community. We have provided individualized support to providers and organizations in Orlando, FL; Parkland, FL; Las Vegas, NV; Paris, France; and Manchester, UK. Tuesday’s Children is the only U.S. organization listed in the UN Victims of Terrorism Support Portal. Every traumatic event has its own set of ripple effects that have a broad impact outside of the community that was directly affected. It is not always apparent which additional populations were impacted. Measuring the impact of a tragedy in your community is an important component when developing a plan for long-term healing. Specify age groups in your service population and needs specific to those groups. This will help to understand themes and trajectories in trauma, grief and bereavement based on the ages of your service population. Incidents of terrorism and traumatic loss have a profound emotional impact. The sudden and violent nature of this loss is a unique and defining characteristic of trauma. Traumatic wounds are complicated and often take time to heal. Losing a loved one under sudden and traumatic circumstances has a lifelong impact. Emotional and physical wounds linger and further disrupt family dynamics. Trauma and grief are labels for emotional states that are very difficult to fully comprehend and can vary widely. The Diagnostic and Statistical Manual of Mental Disorders (commonly referred to as DSM) diagnoses are often according to trends and do not fully encompass all personal experiences. The nature of some of these symptoms might make sufferers less likely to seek care or access mental health services, making diagnosis difficult. Tuesday’s Children was founded as a community-based initiative in response to the devastating emotional impact of 9/11. Click on each of the following to learn about the creation of our organization. We were formed in Manhasset, NY, a community heavily impacted on 9/11. Tuesday’s Children received its 501C3 status December 4, 2001. We were created by families and friends who experienced a direct loss and wanted to give children the childhood experiences they might otherwise miss out on due to the loss of their parent—not to replace the parent, but to remember and honor them. Our first goals were to provide families with fun activities, a support network, and child mentoring. Create long-term healing programs to help alleviate the reactions and symptoms caused by the impact of 9/11. 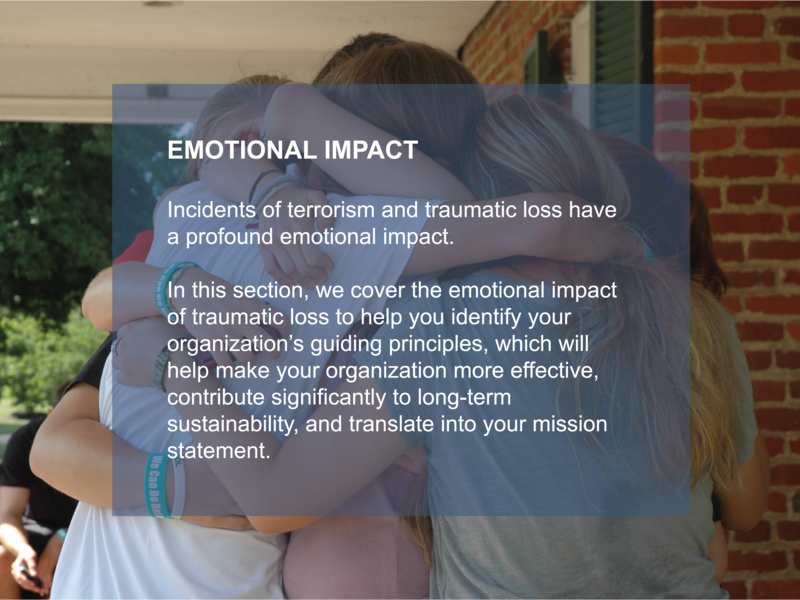 Over the last 15 years serving the 9/11 community and others impacted by traumatic loss, we have established this “Long-Term Healing Model” for supporting communities on the road to resilience and recovery. 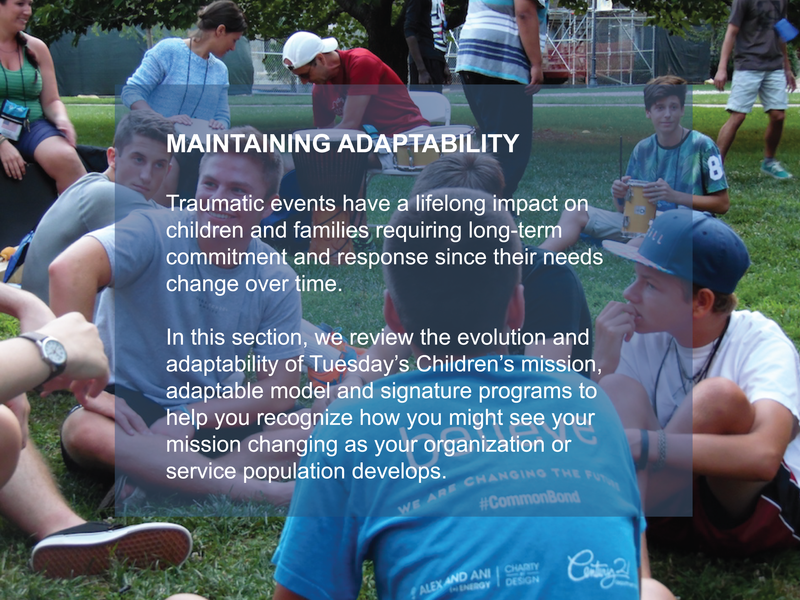 Long-term commitment and response—understanding traumatic events have a lifelong impact on children and families and their needs change over time. Evidence-based services that build resilience—it is important to use proven programs that have delivered results in other settings. Often these approaches need to be adapted to the population’s specific needs in order to be engaging and build strength and resilience. It is vital to carefully select and vet program partnerships with organizations and individuals who share our mission, respect the needs of our families and fulfill a specific purpose. Incorporating family or community involvement and feedback at all stages of organizational development, program development, evaluation and outreach is key. Tuesday’s Children has relied on our Family Advisory Board and community assessments when developing and adapting our programs. Many of our programs, like Project COMMON BOND, originated from the ideas of the children and families we serve. What are your guiding principles (any principle or precept that guides an organization throughout its life in all circumstances, irrespective of changes in its goals, strategies, type of work, or the top management)? (Resource material: S.M.A.R.T. Goals Worksheet: Specific, Measurable, Agreed Upon, Realistic, Time Based. Tuesday’s Children, a ‘by the families – for the families’ non-profit organization founded by the brothers, colleagues and friends of World Trade Center victims, has made an eighteen year commitment to each of the thousands of children who lost a parent on Tuesday, September 11th 2001. Our children and their families, having lost a guiding light in their lives, must not be left to walk their path alone. Tuesday’s Children’s programs – based on family and community interaction – create the ongoing structure and support necessary to insure a happy and healthy future. Tuesday’s Children is a non-profit service organization that has made an 18-year commitment to every child who lost a parent on September 11, 2001, providing a wide range of programming, from mentoring, to advocacy for children, to next-step skills and leadership training for adults. Tuesday’s Children’s programs are created by the families, for the families with one simple goal – to develop the resources necessary to ensure these families reach their full potential. 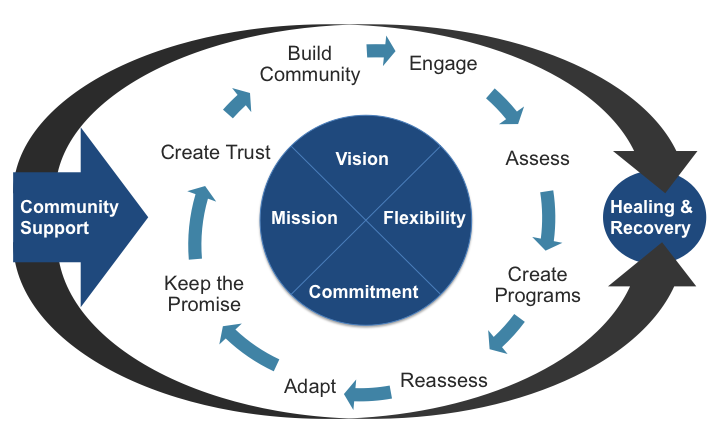 Our adaptable model for community long-term healing includes our long-term vision, mission, flexible approach and commitment to our service populations. It begins with creating trust, building community, engaging our service population, assessing their needs and creating programs to address needs. We continually reassess needs and adapt our programs to best serve our families and Keep the Promise , which aids in the healing and recovery of the families we serve. Many of our programs can be adapted and replicated. For example, Creative Insight, which has now been replicated in multiple settings, serves 9/11 family members, responders, military widows, and school workers and bereaved families in Newtown, CT. Many of our signature programs are evidence based and have proven outcomes in supporting those impacted by traumatic loss. Engagement and outreach programs are perhaps most important in building trust, staying connected with families and keeping our finger on the pulse of their needs. Career Programs were developed early on for parents and adults and we have provided college and career advisement to children throughout. This has grown over the years into our Career Resource Center as our youth population has aged. Skills development programs are offered to families, particularly youth, in order to to provide coping mechanisms and life management strategies that aid participants through life events such as transition to new schools, financial planning, etc. This is something not all people pursue immediately after a traumatic event, but it is important to have in place and is the underpinning of many of our other programs. Project COMMON BOND has united over 700 international youth from 28 countries impacted by terrorism to engage in dignity-focused activities, learn about peace-building and form lasting friendships. This skills-based program was offered early on to more than 400 individuals and has now been replicated in multiple settings helping: 9/11 family members;, responder families;,school workers and bereaved community members in Newtown, CT; and, most recently,surviving family members of post-9/11 fallen military service members. Has served more than hundreds of children—pairing them with adults in the community who can understand their loss. The length of matches sets it apart, some spanning more than a decade. Helping Heals is a service-learning initiative where.Tuesday’s Children’s families give back to others in need.toThe desire of our family members to want to give back to others is indicative of their post-traumatic growth. Helping Heals programs can change their view from “victim” to someone with self-efficacy and self-esteem. Heart to Heart brings together Gold Star widows and widowsmothers for healing retreats where they engage in peer support and conduct dialogues about dignity, trauma, self-care and resilience. Organizational development helps improve the foundation for long-term success. Tuesday’s Children developed on a community level by working with family members, friends, supporters and volunteers. The foundation of our organization is supported on both ends by our internal boards and our external partners and funders. From this we have grown from a staff of two in 2001. We expanded to five offices at one point in multiple states and today we have a staff of 12 in three offices, serving over 15,000 individuals in 48 U.S states and 28 countries,current staff of 15. Non-profit organizations need to attend to the same tasks as profit-seeking companies do when they turn to the challenges of establishing and maintaining a solid work force. Tuesday’s Children’s current staff gets consistent advisement from our Board of Directors, our Junior Board, and our Family Advisory Board. Across all departments we work with trusted consultants and contractors who further our mission. Every non-profit board is responsible for creating a structure, policies, and procedures that support good governance. The term "board organization" encompasses a variety of tasks, from routine matters such as preparing a schedule of board meetings to actions with broader consequences such as developing a policy about terms of service. Click on each key consideration for more information about board structure. 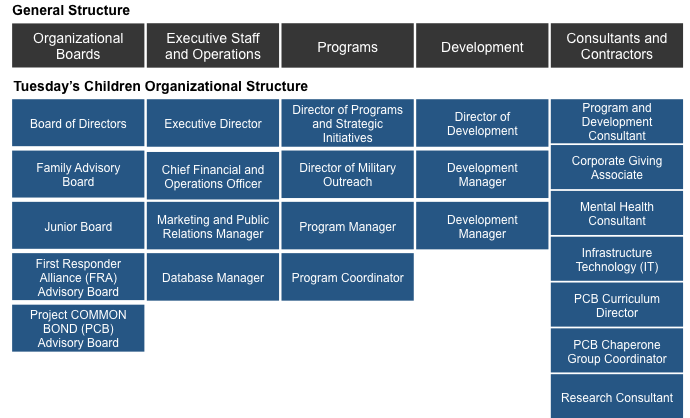 The organization's structure and needs are among the factors that determine board size. In considering the size of the board, every board needs a sufficient range of expertise to accomplish the organization's mission. If a board is too small, its members may be overworked and unproductive. If a board is too large, every member may not have the opportunity to participate actively. There are no fixed rules for determining board members' tenure. 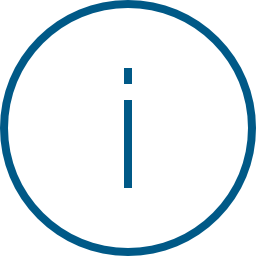 Many organizations do, however, limit members to two consecutive terms and require a hiatus of one year before a board member may be reappointed. Many organizations also stagger terms of service so that one half or one third of the board is elected every one or two years for terms of two to four years. 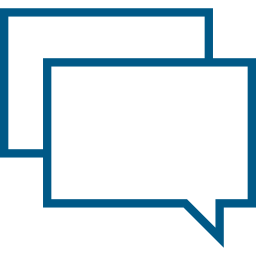 Such policies encourage institutional renewal because a board can profit from the experience of veteran board members while welcoming the fresh perspective that new members offer. Every board member should serve on at least one but preferably no more than two committees or task forces. Members are appointed by the chair in consultation with the Governance Committee. Committee size depends on the needs of the board and the organization and a common sense assessment of how many people are needed to carry out the committee's work. Make committee assignments based on the experience, skills, interests, and available time of board members. Each member must make a serious commitment to participate actively in the work of the committee. If a committee is too large, a small group of members may have a disproportionate amount of responsibility. If a committee is too small, there may not be enough people to get the job done. Board committees may include people who are not board members. Tuesday’s Children’s Board of Directors is diverse and composed of representatives of our service populations and a range of areas of expertise. It is vital to think strategically about who to partner with in providing long-term support and maintaining the trust of your population. It is important to vet your community partnerships to ensure mission alignment, long-term commitment and a competency in the specific needs of your population(s). The first step to planning a partnership is to clearly define what you want to get out of it. Click on each panel to view potential ways that a non-profit partnership can be beneficial. One of the main advantages a non-profit partnership can offer is increased visibility for your brand. Natural cross-promotion allows you to easily reach another organization’s network. Depending on the nature of the partnership, a partner can feature you on their website, social channels, or regular communications to their community. Keep in mind that you can consider approaching for-profit companies too. If you’re looking to advance your mission and enhance your programmatic impact (without funding a whole new program), a strategic partnership can give you access to tools, resources, and services you need. One way to expand your range of services is to launch a joint initiative with another organization that has a similar mission. You can supplement each other’s services to broaden your offerings. By teaming up, both organizations can expand the services they provide without hiking up their budget. A relationship like this also allows both parties to still operate independently. Rather than consolidating programs, you would simply share information and coordinate your efforts. If you’re explicitly looking to cut administrative costs, the partnership type you select depends on your financial needs. Non-profits that are tightly strapped financially sometimes consider integrating with another organization. If you’re looking to cut down infrastructure or administrative costs without sacrificing autonomy, there are other options. You might approach local organizations (either non-profit or for-profit) that can share expenses to rent facilities or buy office equipment and supplies. Sharing workspaces can be a great way to save money, and it can encourage collaboration and increase your visibility. Sharing spaces can often lead to sharing staff or departments as well. If you’re in the same space, you can share an IT department or train staff together. You might even collaborate to build a preferred vendor program. A non-profit partnership can also elevate your organization’s credibility and support. By partnering with a well-known and trusted organization, you can increase your visibility and improve the public’s perception of your own brand. This can help you build trust and attract support. Likewise, an incompatible partnership can damage your reputation, so choose your partner wisely. Partnerships need to be vetted to ensure mission alignment, long-term commitment and a competency in the specific needs of your population(s). 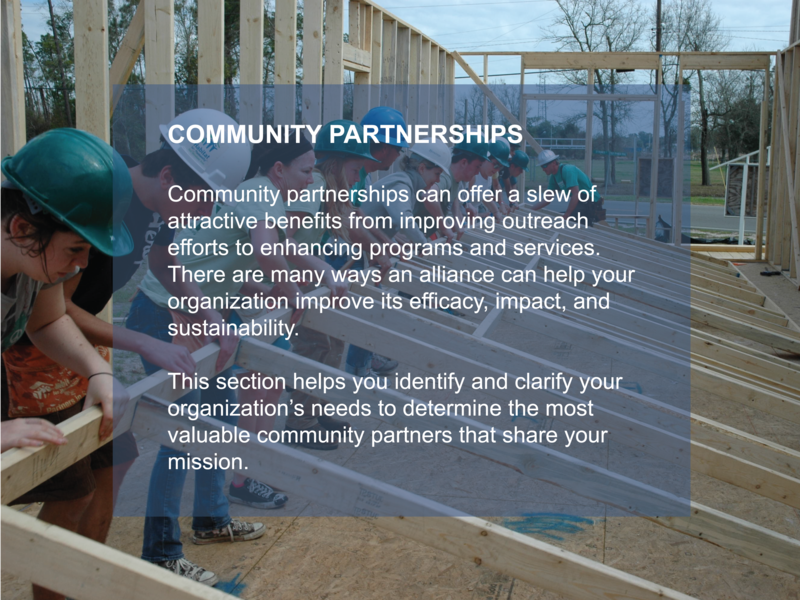 The first step to planning a partnership is to clearly define what you want to get out of it.It is important to vet your community partnerships with organizations that share your mission. Keep your goals front and center as you explore the possibilities in order to choose the right partner and develop an alliance that will deliver the best results. You have completed Module 1: Fundraising and Financial Management. You are now ready to manage your organization’s budget and fundraise effectively.